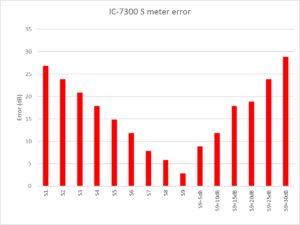 Above is a chart of the error between the S meter indication and the value per IARU Region 1 Technical Recommendation R.1. It can be seen that the error is smallish near S9, but is gross (>25dB) at the high and low end of the S-meter scale. 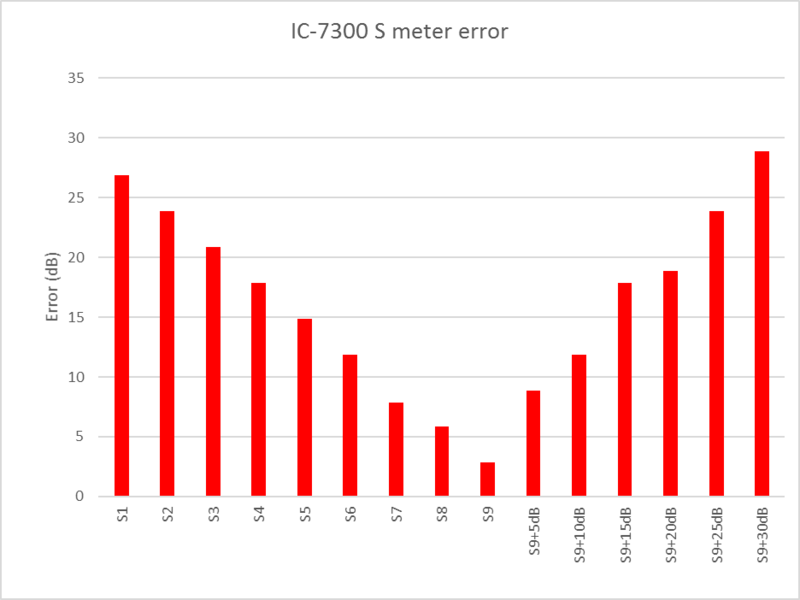 Though this receiver might use SDR techniques for demodulation and spectrum display, Icom appear to have taken no effort to fix the S-meter calibration inaccuracy of their earlier receivers.